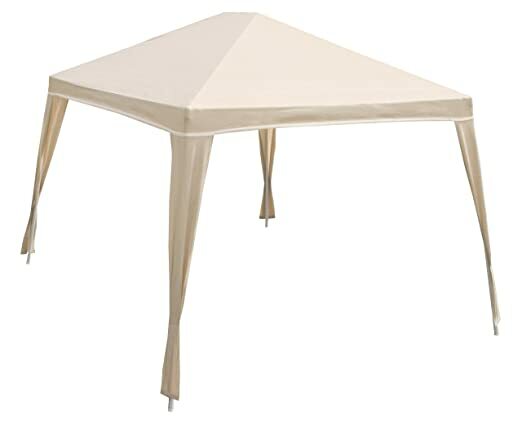 There are a few different types of gazebo styles to choose from, mainly canvas top and hard top. There are also those which set up and collapse in just minutes and are easily portable, and those that are hardscaped into your yard for a more permanent solution. They can be made from wood, metal, plastic, or other materials, and it’s really a matter of personal preference and budget which you choose. You’ll also want to consider the size and shape of the model you like — there are square, rectangular, round and even 6- and 8-sided models. Before installing, you’ll want to check your local bylaws regarding gazebos, and confirm that the ground beneath where you’re planning to install it is stable and features adequate drainage. 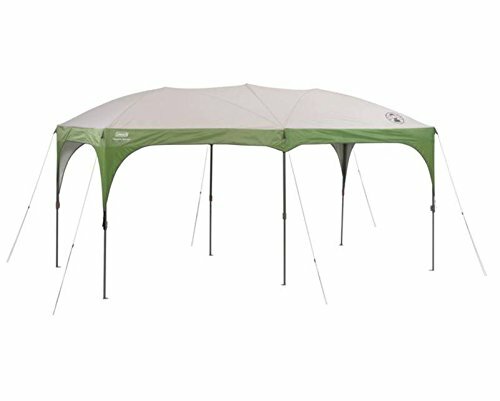 With the above information in mind, in no particular order here are 50 of the gazebos that we consider best, based on available features and average customer ratings and reviews. 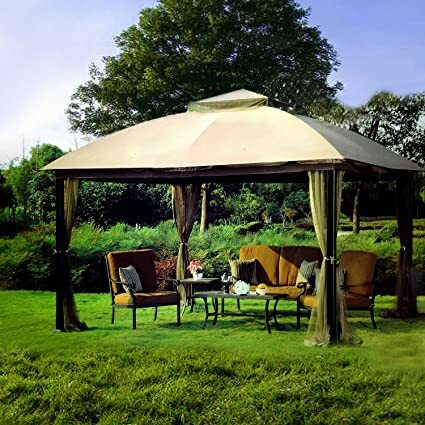 This gazebo offers a stylish way to stay out of the sun and features a 10’x12’ footprint with a peak height of 8’7” ideal for almost anyone. It comes with mosquito netting, plant rings, corner shelves, ground stakes and center hook for hanging lights or a fan. 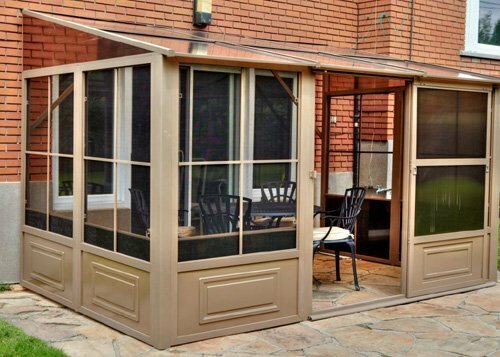 This stunning enclosed gazebo boasts a 12’x15’ footprint that comes complete with sliding doors which can be placed on any side of the structure for complete customization. 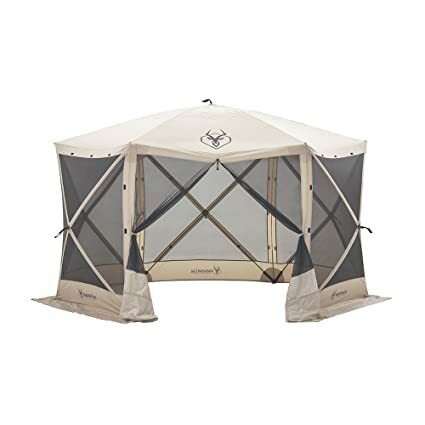 This hard top gazebo boasts a 10’x12’ size and comes complete with wall to wall nylon mosquito netting and 4 sliding doors for all day comfort. This gazebo boasts a 10’x12’ size and is made of durable aluminum along with a galvanized steel roof to provide you with years of use. 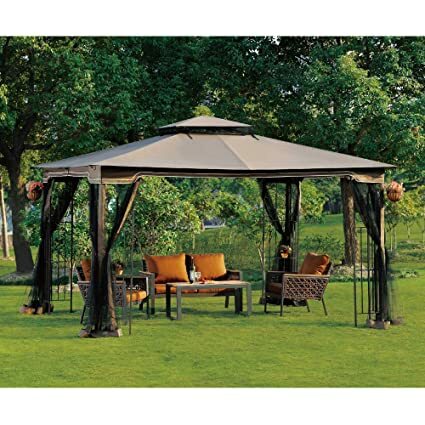 This gazebo boasts a 10’x13’ size that is ideal for hosting friends and enjoying time outdoors. The polycarbonate roof is easy to maintain and features venting to reduce stress from the elements. 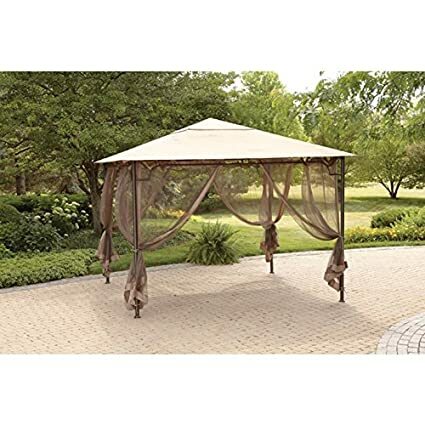 This beautiful gazebo boasts a 12’x10’ size that allows you to easily and stylishly expand your outdoor living space with a romantic, whimsical design. 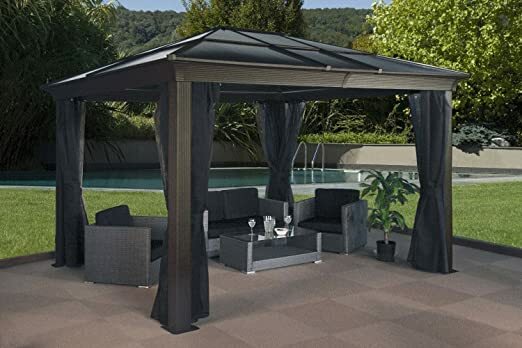 Available in a choice of different size configurations to suit your household’s needs, this gazebo boasts a 10’x12’ footprint that allows you to easily expand and extend your outdoor living space. 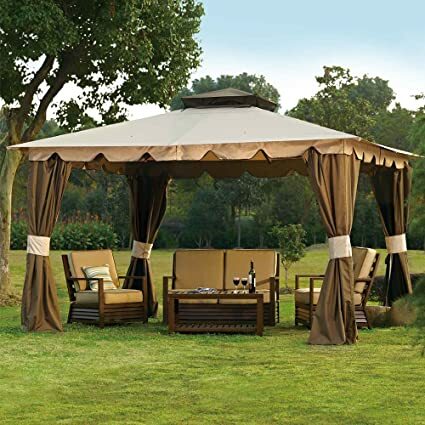 This whimsical and romantically-styled gazebo boasts a 10’x12’ size that creates a comfortable and cozy outdoor living space for your family. It features a heavy duty steel frame and can be installed on your lawn, deck, or patio. 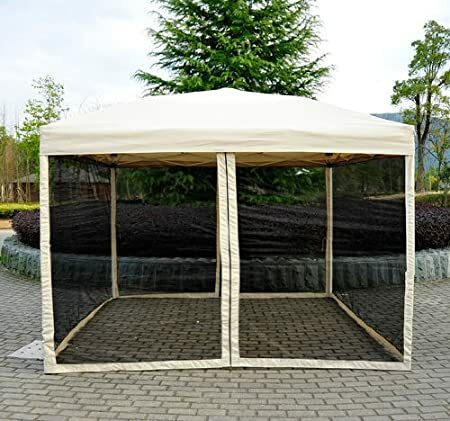 This metal gazebo features a 10’x12’ size and comes complete with all-around mosquito netting to keep the bugs out and to help cut down on sun exposure. 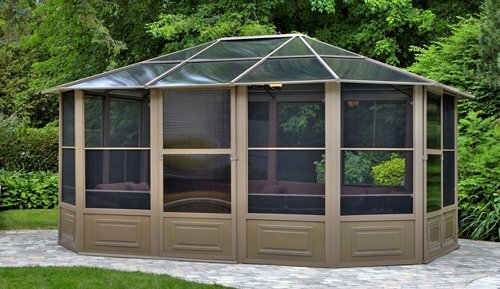 Create a respite from the blazing sun for your family with this gazebo that features easy up installation and provides 8’x8’ of protection. 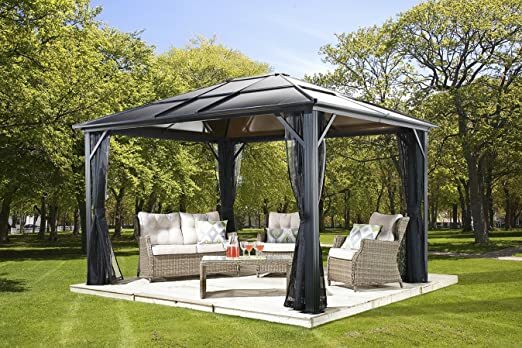 This gorgeous gazebo boasts a 10’x12’ size and comes complete with mosquito netting and privacy panels to provide a complete outdoor living solution for your family. 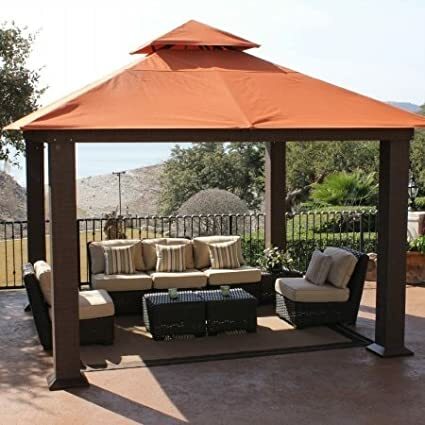 This hard top gazebo boasts a 10’x12’ size and features a durable hard top roof that has been powder coated to resist rust, corrosion, and chipping to provide your family with years of outdoor use. 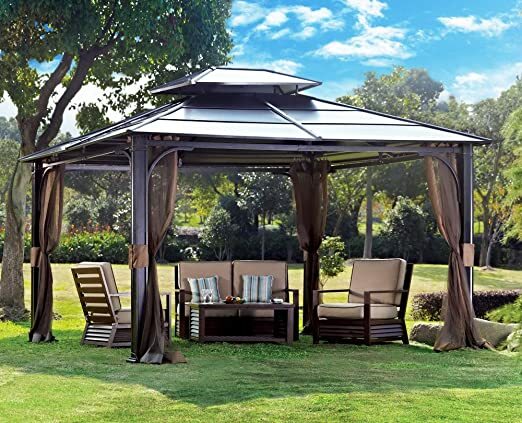 Easily add the comfort of an extra room to your backyard with this hard top gazebo that boasts a 10’x12’ design and comes with a durable rust-proof aluminum frame. Featuring a 10’x’12’ size, this gazebo installs quickly and easily to provide your family with increased outdoor living space. Thanks to its unique fabric, it boasts a breathable design that is comfortable for use even on the warmest summer days. 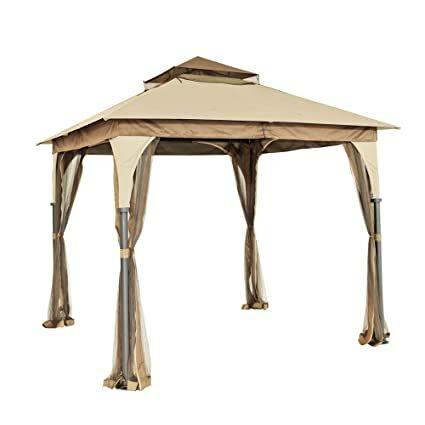 Keep your guests and family cool and comfortable on hot summer days with this hard top gazebo that boasts a generous 12’x16’ size. 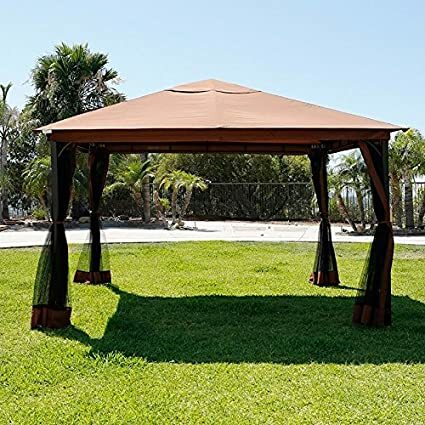 This gazebo features a 13’x13’ design and has been improved from previous models to feature a heavy-gauge tubular steel frame that has been powder coated to be rust-resistant for durable outdoor use. 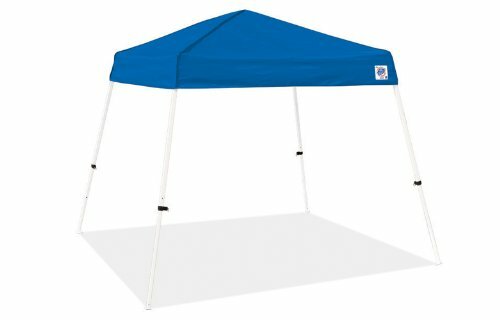 This pop-up canopy gazebo boasts a 13’x13’ size and easily installs in just minutes to provide your family with a comfortable outdoor living space. It weighs just 59 pounds, making it easily portable and ideal for family outings. 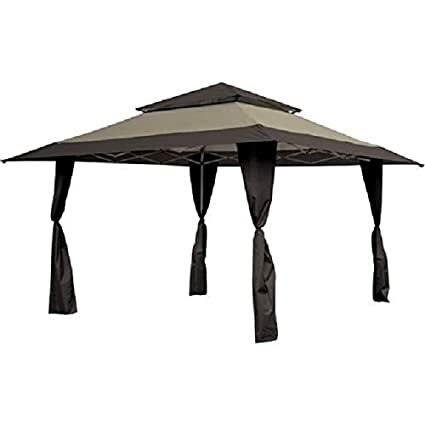 This simple gazebo provides a shaded outdoor space for your family and features a vented double roof and polyester canopy that is weather-resistant and fire retardant. 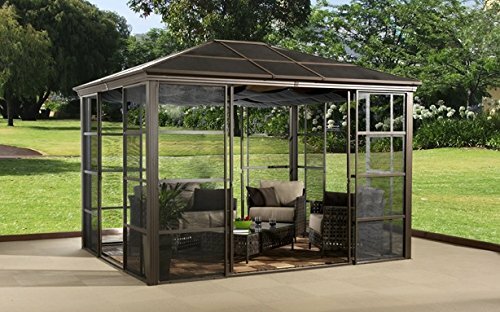 This hard top gazebo boasts a 10’x12’ size and features a durable aluminum construction that will provide your family with years of outdoor living space. 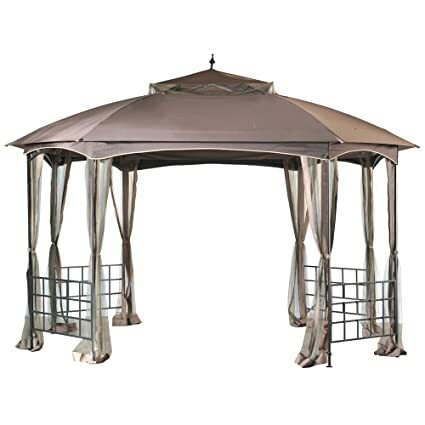 This beautifully-detailed gazebo offers an 11’5”x11’5” size in a romantic design that is perfect for family gatherings or special occasions. 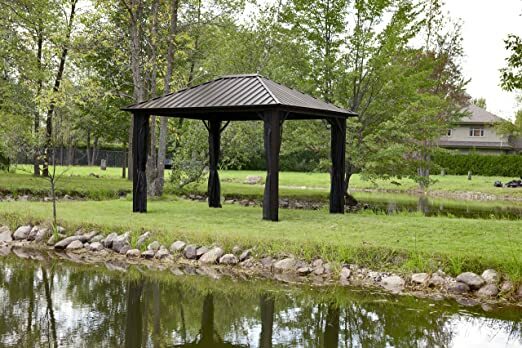 This gazebo boasts a 12’12’ size and features a unique and eye-catching butterfly design that is sure to make it the focal point of your backyard. The canvas top is made of durable UV- and weather-resistant polyester outdoor fabric. 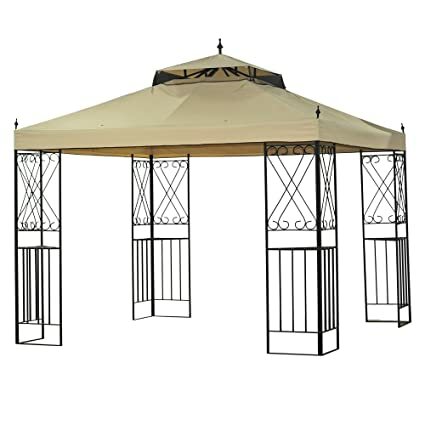 This traditionally-styled gazebo boasts a 10’x10’ size that is perfect for protecting your family from the elements. It easily sets up in just minutes and features height adjustable legs. 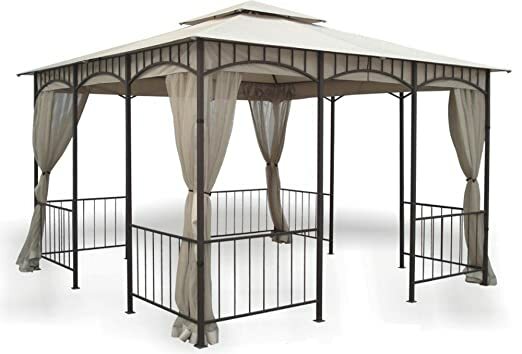 This stylish gazebo boasts a 10’x10’ size and features a metal and rattan wicker design that is sure to make it a focal point of your backyard. UV-resistant fabric helps the canvas to retain its color and block out harmful UV rays. 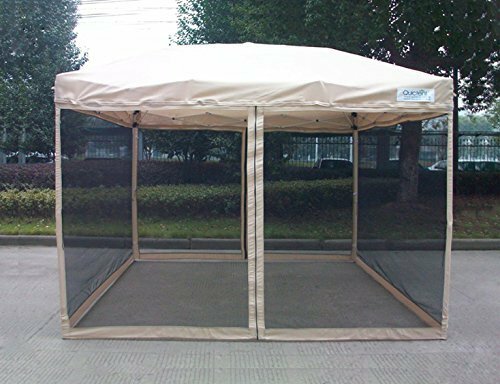 This hard top gazebo boasts a 10’x12’ size and has been powder coated to help resist rust, corrosion, and chipping for years of durable outdoor use. 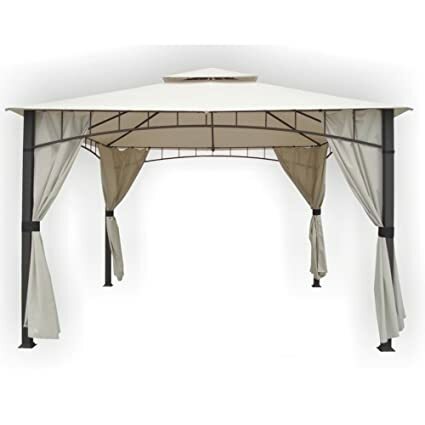 This gazebo boasts a 9’x9’ size and comes complete with a weather-resistant fabric top that is easy to clean and will not fade, crack, or rot. 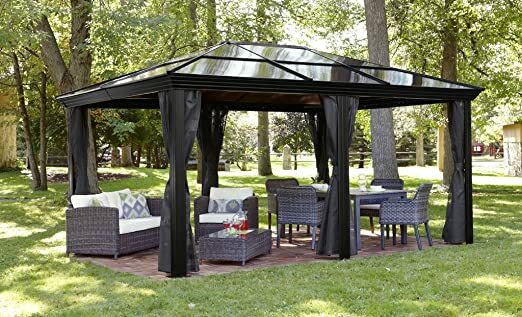 This hard top gazebo boasts a generous 12’x16’ size ideal for backyard get togethers or just keeping the family cool and shaded. 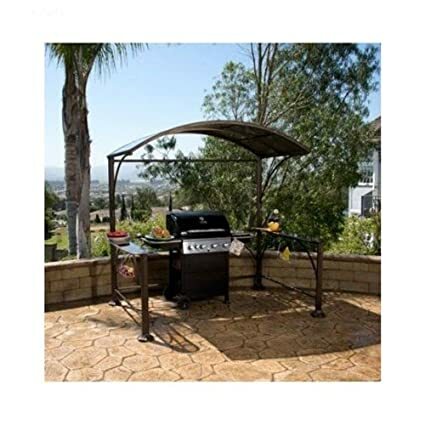 The frame is made of durable rustproof aluminum and the roof is made of galvanized steel. 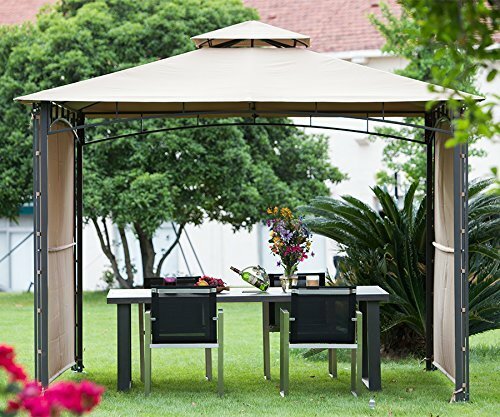 Available in a 10’x10’ size, this gazebo offers a sleek and elegant way to expand your outdoor living space at an affordable price. It comes complete with a swing wall that provides extra shade when extended. 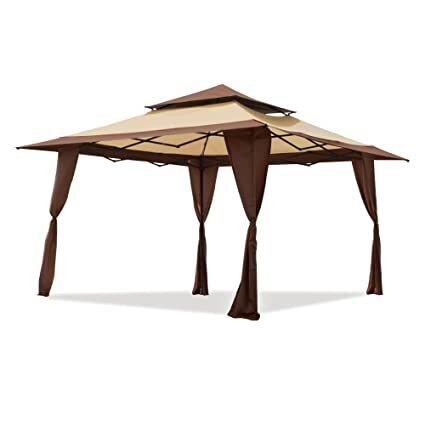 This gazebo boasts an 11’8″x11’8″ size and has been designed for maximum ease of portability, making it ideal for backyard gatherings, family outings, or other special occasions. It can comfortably sit up to 8 people and includes a carrying bag for added convenience. 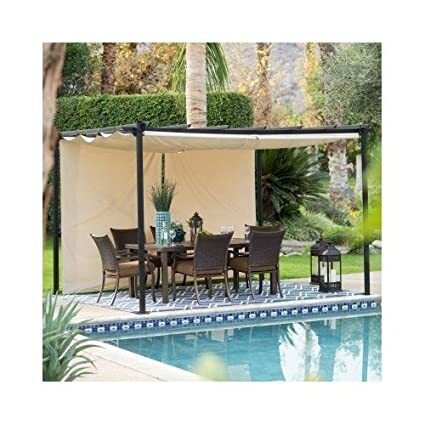 This gazebo offers a 12’x10’ coverage area and boasts retractable canopy shades that allow you to enjoy your outdoor living space no matter what the weather may be. 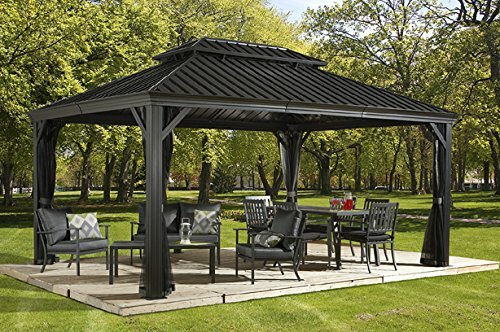 This gazebo boasts a 12’x12’ design and sets up quickly and easily to provide you and your family with a comfortable, shaded outdoor space. 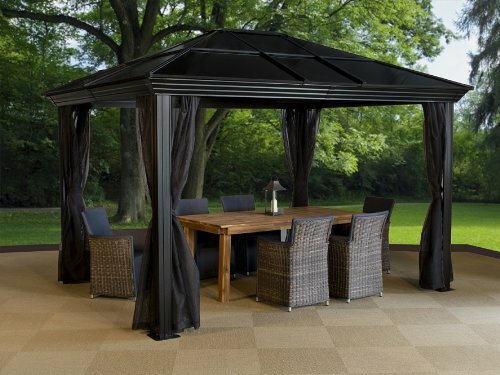 This hard top gazebo boasts a 12’x14’ size and is a beautiful way to expand your family’s outdoor living space. It comes complete with 4 sliding doors and a retractable polyester ceiling canopy to customize your space. 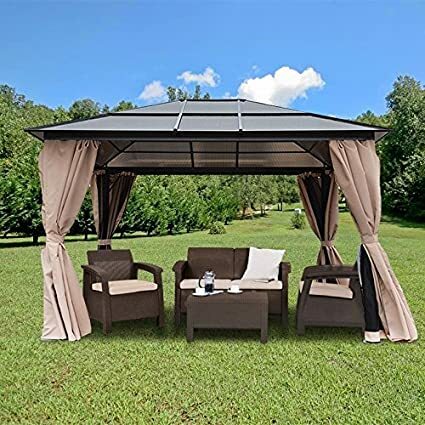 This pop-up canopy gazebo boasts a 13’x13’ size and easily installs in just minutes to provide your family with a comfortable outdoor living space. It comes complete with a carrying bag, making it easily portable and ideal for family outings. 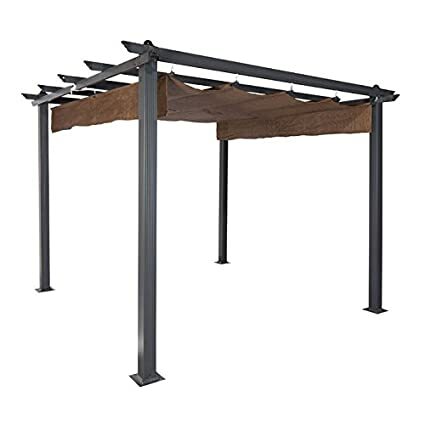 This hard top gazebo structure is ideal for providing all-weather coverage to your outdoor grill or small seating area and features integrated shelving on either side to boost your storage space and is ideal for entertaining. 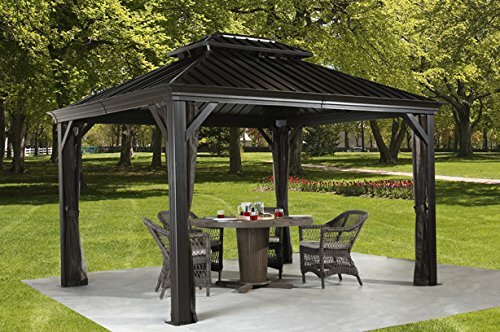 This gazebo boasts an 8’x10’ size and features a fully retractable roof that allows you to customize your outdoor living space based on current and changing weather conditions. 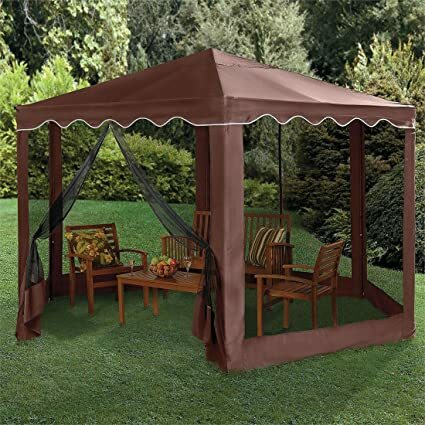 This gazebo features an 8’x8’ size that allows you to create an intimate, shaded entertaining space in your backyard quickly and easily. 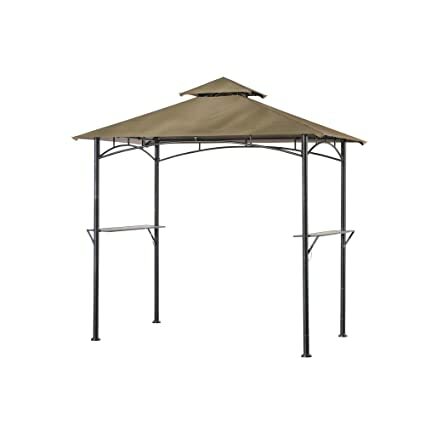 This hard top gazebo boasts a 10’x12’ coverage area and is made of a durable and long-lasting, rust-proof aluminum frame. It has been designed for use during all 4 seasons and features convenient hooks and grooves for hanging lights, fans, or plants. 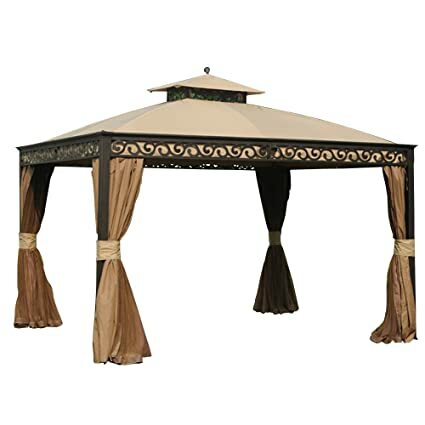 This elegant gazebo boasts a 12’x10’ size and allows you to create or expand your outdoor living and entertaining area at a reasonable price. It comes complete with privacy panels and can easily be mounted. 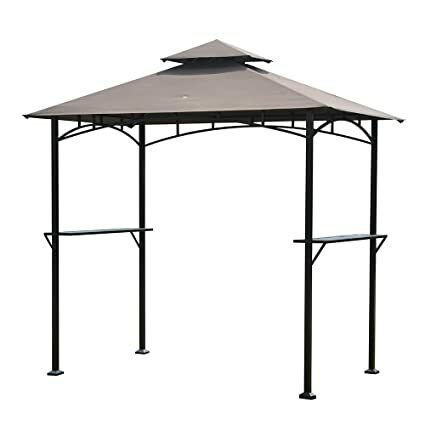 This gazebo boasts a 10’x10’ size and is made of a durable powder coated steel frame designed to resist rust and corrosion. It comes complete with spring clips that make assembly quick and easy. 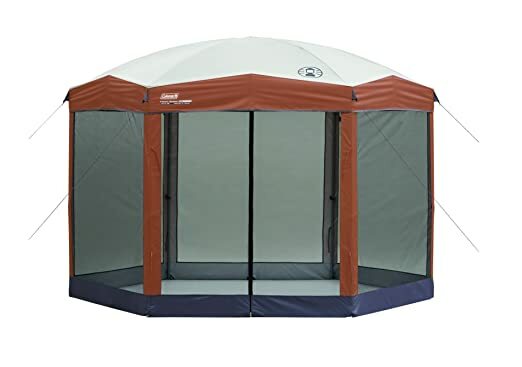 This hard top gazebo boasts a 10’x12’ size and features a durable rustproof aluminum frame and UV protected tinted polycarbonate roof panels to provide your family with years of comfortable outdoor living space. This gazebo boasts an 8’5”x8’ size that is ideal for providing year-round protection and coverage of your grill or small seating area. It is easy to assemble and features integrated shelving on either side for additional storage and convenience when entertaining. 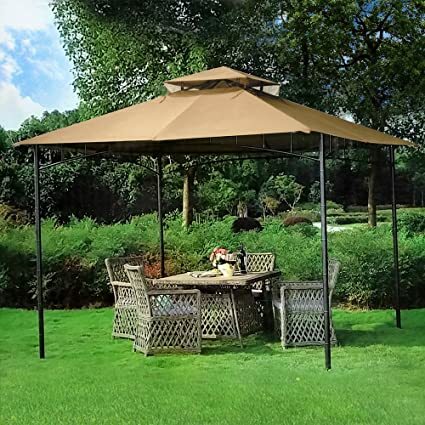 This hard top gazebo boasts a 10’x12’ size that is ideal for small get togethers and outdoor outings and features a durable powder coated rust-free aluminum base for years of reliable use. 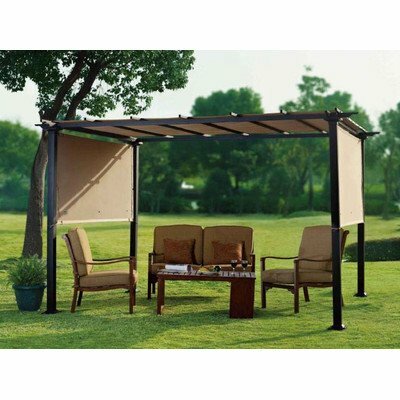 This gazebo sets up in just minutes and features a 12’x10’ size that is ideal for seating multiple people at once. It comes complete with a wheeled carry bag for ease of portability. 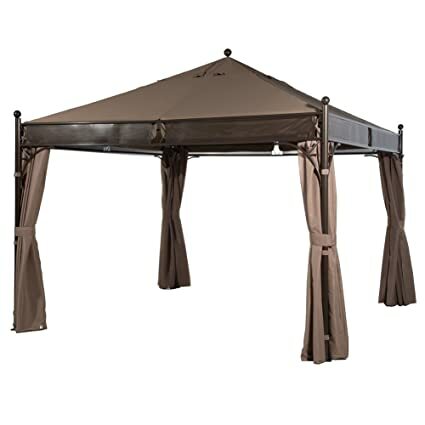 This gazebo boasts a coverage area of 13’x13’ and features an easy-up design that makes it quick and easy to install. At a weight of just 59 pounds and with the included roller bag, it’s also ideal for your family’s on-the-go shading needs. This gazebo boasts a rectangular 10’x12’ design that’s ideal for increasing your family’s outdoor living space and for entertaining. The metal corners feature an elegant design that’s sure to become the focal point of your backyard. 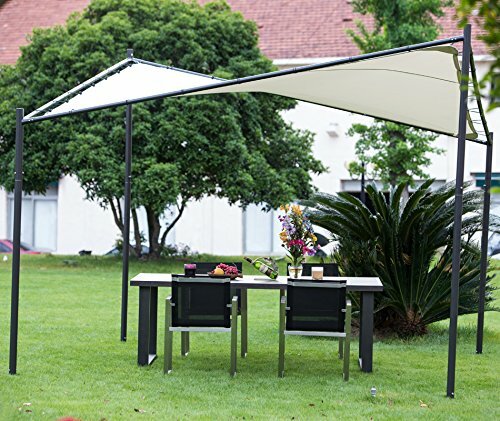 This instant canopy offers you immediate shade and respite from the elements in an easy-to-assemble design. It provides 16’x8’ of coverage area that’s ready to use in just 3 minutes and 3 easy steps. 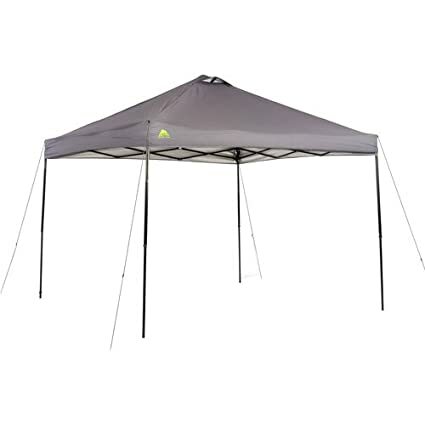 This gazebo boasts a 10’x10’ coverage area in a pop-up design that is easy to install and take with you, making it ideal for picnics, sporting events, or other outings. 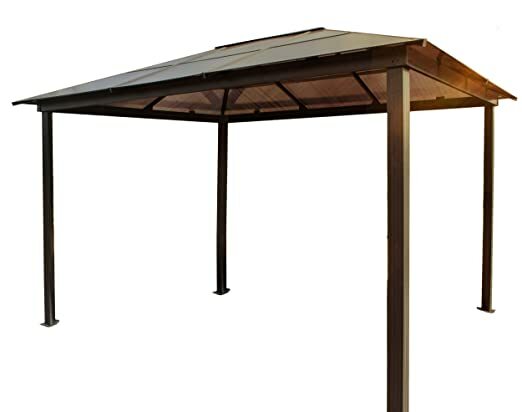 This gazebo offers 6’6”x6’6” of shade that is ideal for small backyard spaces or on-the-go protection from the sun and elements. Thanks to a special silver treatment coating on the commercial grade cover and sidewalls, it offers both water and UV protection. 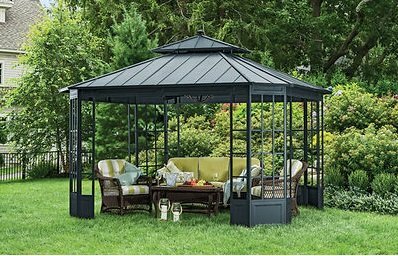 This gazebo offers 10’x12’ of coverage area and features a powder coated steel frame that’s been designed for years of durable outdoor use. The double vented roof keeps you protected from the elements while still allowing for airflow. 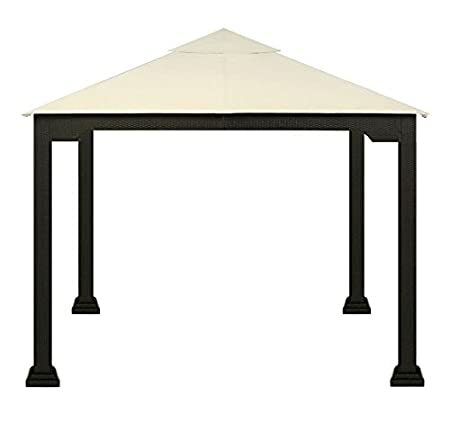 This gazebo offers a generous 12’x12’ coverage area and features a sturdy design and durable, powder-coated heavy-gauge extruded aluminum frame. The canopy is vented to provide protection from the elements without sacrificing on air flow.